The Swiss Institute welcomed guests to its new, temporary Tribeca home on October 5 for a lecture performance by Ramaya Tegegne. The Geneva-based artist presented her collected oral testimonies from New Jerseyy, a now-defunct artist-run space in Basel, Switzerland. 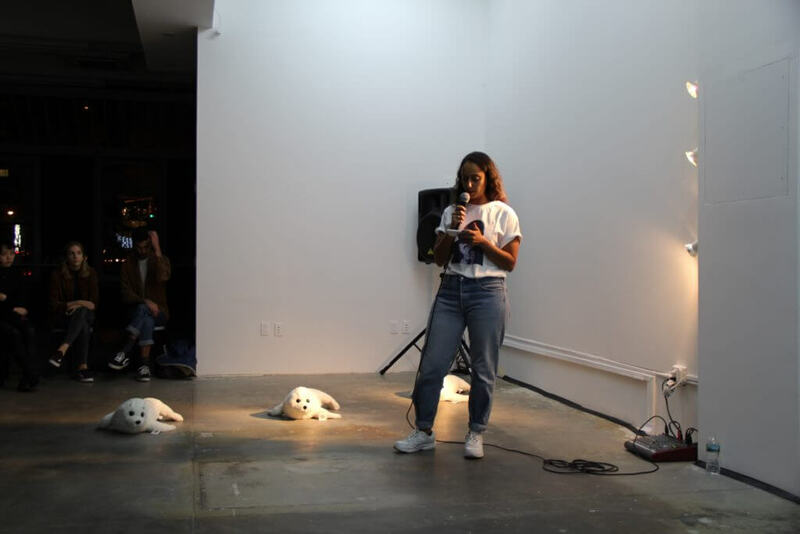 “It is a part of my research observing gossip in the context of group dynamics specifically within artistic communities,” said Tegegne of the piece, which is based on the discussion between seven people who were involved with the shuttered institution.